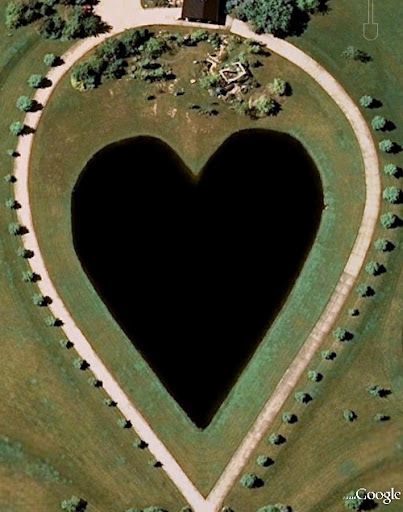 Located near the Township of Columbia, Lorain County, Ohio, USA, this heart shaped pond measure about 110 by 100 metres. It seems that it is part of some holiday resort or park. Credits: Groovy23 for placemaking this post in Google Earth Community.